Last week I was afforded the opportunity to visit Oregon Freeze Dry, Inc.--the parent company of the premier freeze-dried food producer in the world, Mountain House. This invitation to a select few of OFD’s retail dealers doesn’t come around very often at all. The last time they brought in some of their dealers was 15 years ago. Needless to say, lots of things have changed since then. Before my visit to OFD, I knew very little about the freeze drying process. After all, I am a “bean counter,” as my father likes to say. Read the entire article and see the OFD facility. 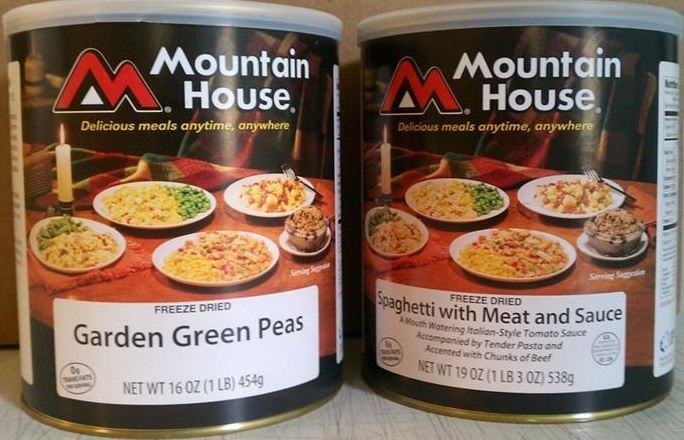 Mountain House is the only brand on the market that consists of fully freeze dried food. Other companies market theirs as such, but they have dehydrated components as well, which will not last as long as advertised. Mountain House foods are fully cooked, then cooled in three stages, and then freeze dried. This helps to trap the flavor in, as well as the nutrients. Other companies will blast-freeze their product, which essentially evaporates the nutrients and the food will never be able to fully reconstitute. The pouches of a major competitor essentially have only two layers (not including the outer print layer). Mountain House pouches have 7 layers, including a nylon layer which prevents high oxygen transmission. Not having enough layers will allow UV light to penetrate, and advance the rancidity of the food much quicker. My operations manager was at Mountain House yesterday and took part in some blind taste testing between MH foods and several other branded dried storage foods. He reported that in every variety compared, the MH foods turned out a slam-dunk winner in both taste and appearance. 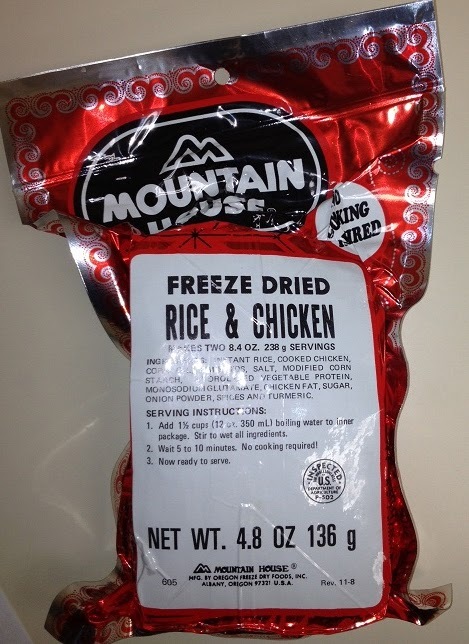 As a matter of fact, he also tasted some of this pictured 30-year-old Mountain House freeze-dried Rice & Chicken. He said it was "quite tasty"! ALBANY, Ore.--(BUSINESS WIRE)--Mountain House, the leading domestic brand of freeze-dried food, conducted an internal taste test to compare the quality of new pouches of food versus 30- to 31-year-old pouches from the company’s archives. Six products were scored on a nine-point scale by 12 participants. Despite the fact that archived pouches trailed the new pouches in each case, the resulting average score of 6.6 surprised even the most seasoned of taste testers in the group. According to Norm Jager, head of research and development for Mountain House, the fact that the archived pouches scored this highly after 30 years indicated to Mountain House a need to re-think how it communicates shelf-life to consumers. As the industry leader in freeze-dried food, Mountain House attributes the ever-increasing shelf life of its pouches to rigorous end-to-end manufacturing processes and quality control. This includes everything from ingredient sourcing, recipe development, blending of seasonings, cooking, and freeze drying to packaging and distribution. These facts, in tandem with ongoing taste test findings, could have significant meaning to consumers looking for maximum longevity. Mountain House, the #1 domestic brand of freeze-dried food, has been the leading choice of backpackers, hikers, campers and other outdoor enthusiasts for nearly 50 years, and more recently has become a favorite long-term food storage solution for emergency preparedness. Mountain House products are convenient, easy to prepare and have an industry-leading shelf life. For more information and a complete list of product offerings, visit www.mountainhouse.com. Case of Mountain House Food Awarded August 1: Winner's Choice, Value to $400! We do this monthly--give away a case of Mountain House freeze dried food, winner's choice from among the Mountain House listings in our Safecastle store. You have to like your odds, don't you? ... given that the grand prize every month is valued to $400, and the pool of possible winners is still pretty small. Of course, our goal is to make that number of folks grow. Remain on the Safecastle LIKE list and you will be in the drawing for as long as we do this. I do have a challenge out there for all of you that can greatly increase your chances of being a winner in this next drawing. Right now we have 2326 likes on our page. If and when we reach 2750, we will be awarding an additional 5 Mountain House Best Seller kits. So if you SHARE our page with your Facebook friends, then we just might reach that goal in the next few days. The next drawing is August 1, 2012. Mountain House freeze-dried food is the world's premier long-term storage food--shelf life of 30 years in #10 cans and award-winning quality, selection, and taste. 1. Numerous Mountain House #10-can discounts right now at Safecastle are at levels that have not been seen anywhere in more than 5 years (up to 34%)! Note: This sale ends July 18. 3. Our buyers club member rewards are providing $30 gift certificates for every 3 MH can cases in a transaction! 4. Many MH manufacturer can prices are going up 5% on Aug. 1, everywhere MH is sold. 5. In July only, we are making the unprecedented offer of a FREE lifetime buyers club membership and a $20 coupon code (one-time use)! 6. Have you seen the news release about the independent study comparing the oxygen present in Mountain House food vs. Wise Food (a crucial factor in determining actual shelf life)? Now is the time. Get your gear in place and supplies topped off. The hourglass may not be flipped again. Third Party Lab Study Finds Oxygen Levels in Wise Co. Foods 110 Times Higher than in Mountain House Foods! ALBANY,Ore.- July 12,2012- Mountain House, the leading domestic brand of freeze-dried food, released the results today of a study designed to illustrate how different brands handle oxygen levels in their long­ term food storage products. The study, conducted by Columbia Food Laboratories, focused on oxygen levels found in pouches of Mountain House freeze-dried foods compared to those of a competitor. "For proper long-term food storage, it's important to maintain oxygen exposure as low as possible," said Lee Goin, laboratory director at Columbia Food Laboratories. "Oxygen causes rancidity in foods containing unsaturated fats. Even slight rancidity can make a food undesirable. Oxygen causes nutritional value to be lost, especially vitamins A, C, D and E. Removal of oxygen will kill any insects, larvae and their eggs that may to be present." Consumers should be aware that there are four main contributors to food spoilage: water, heat, light, and oxygen. Freeze drying removes 98% of the water in food, while dehydrating removes between 80% and 97%. Storing food in a cool, dark place helps to avoid heat and light exposure. However, the fourth factor, oxygen, can only be averted through quality processing and packaging, which is where the study found competitor's products falling short. "Our curiosity was piqued when we saw brands such as Wise Company implying that their pouches have up to a 25-year shelf life, which is rarely found in pouches of freeze-dried foods," commented Norm Jager, head of research and development for Mountain House. "Freeze-dried meals serve families in times of dire need when emergencies hit, which means that it's imperative that these foods deliver on the promises made. So instead of just sitting on the sidelines, we decided to test their products in an effort to educate consumers across the U.S. on the importance of oxygen, which should ideally be less than 2 percent for long term food storage." House products. The most alarming part is that Wise Company products were manufactured in April of 2012 and already exhibit near-atmospheric levels of oxygen, which would not provide a 25-year shelf life. In distinction, Mountain House has a long-standing history of excellence in the freeze-dried foods industry, pioneering the necessary technology and processes for more than 40 years. As part of a rigorous, ongoing quality assurance program, Mountain House regularly tests its own archived products from as far back as 35 years. For additional information on products offered by Mountain House please visit www.mountainhouse.com. For more info, including links to data graphs, go here. Mountain House, the #1domestic brand of freeze-dried food, has been the leading choice of backpackers, hikers, campers and other outdoor enthusiasts for nearly 50 years, and more recently has become a favorite long-term food storage solution for emergency preparedness. Mountain House products are convenient, easy to prepare and have an industry-leading shelf life. For more information and a complete list of product offerings, visit www.mountainhouse.com. Anyone else feeling the hairs starting to rise? "If you are still paying close attention" is an important qualifier here. Over time, even conditions where overly taut, massively stressful environments can assume the position of the new normal and you can ease into a comfortable pocket of denial. The global economy has been massaged, reshaped, and painted over to the point where it quite simply is now a giant, unyielding brick teetering toward its long-delayed, earth-shaking tumble over the edge. International tensions are gearing up to levels not seen since the Cold War ... and hot wars without boundaries are quite possibly imminent. I don't really know where the breaking point will turn out to be or in what order the cascade of society will hit bottom. But if you have managed to keep from being lulled into a sense of ill-timed complacency, then you will likely agree with me that we are now well into a period we might call a "pre-crunch prepper gut-check." Clearly the bottom is falling out. Our support structures are failing and any social safety nets will be torn away. If you haven't gotten all your gear and supplies squared away by now and started focusing on critical security and self-defense issues, then you are behind the curve, my friends. A sudden and unexpected attack on reality will result from an economic collapse or other potential sources and will be devastating for most. Mountain House Discounts Not Seen in at Least Five Years: Up to 34%! 1. 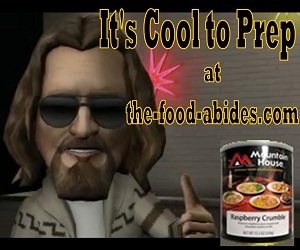 Mountain House just contacted us last night--they are offering a special discount for the rest of July on their canned freeze dried fruits and vegetables. That means we can offer you those products at a discount not seen in at least 5 years ... up to 34% off SRP! And of course, the rest of our MH can listings remain at the maximum-allowed 25%-off thru July 18. Shop the MH sale here. Lest you forget, that's not all ... our buyers club members also are being awarded $30 gift certificates for every 3 MH can cases in a transaction, via our Royalty Rewards program. And yes--everything ships free to the lower 48, as always. Reminder--effective August 1, MH is raising the SRP by 5% on many of their canned items, so now is the time to move on shoring up your food stores with the best emergency food money can buy. 2. If you're not a buyers club member yet, you can now get a membership for free using our special offer. 3. New products in the store lately include some low-sodium Mountain House foods, the old-favorite MH 7-day kit (limited time availability), and a new premium MH 10-pack meal assortment in pouches. Shop all our new items here. We are still at liberty to prepare for the tough times ahead. Those who are exercising those liberties today will be the ones who are in position to hold strong and to help others ... rather than having to be dangling on the other side of the wall when the bottom falls out. 2. Lindon Farms fruits & veggies are 44% off thru July 6 -- a heck of a deal! 3. A bonus Mountain House cans sale is now live, good thru July 18. We are of course offering the maximum allowed 25% off on all MH cans, as well as offering our club members their exclusive Royalty Rewards gift certificates ($30 for every three cases of MH cans in a transaction). As always at Safecastle, everything always ships free to the lower 48. 4. We've got a lot of new products in the store lately--to include some low-sodium Mountain House foods, the old-favorite MH 7-day kit (limited time availability), and a new premium MH 10-pack meal assortment in pouches. Shop all our new items here. It’s good to have on hand several different capabilities for purifying water. Portable water filters: The thing to look for with water filters is the filter’s absolute pore size. Filters are designed to remove parasites (Giardia/Cryptosporidium) and have an "absolute” pore sizes of 0.1 to 1-micrometer (the smaller the pore size, the better). They will also remove most diarrhea-causing bacteria. Most portable water filters do not remove viruses so chemical disinfection is recommended after filtration. Chlorine (NOT a good option): Chlorine has been thought by many to be a reliable way of treating water, but it is risky doing so, since chlorine degrades so quickly and loses its efficacy. Iodine or other stable water-treatment chemicals are more effective.